Will you brie my Valentine...? Of course some nice brie, a bottle of brut rosé, truffle chocolates and a handwritten card will forever be the key to my heart. 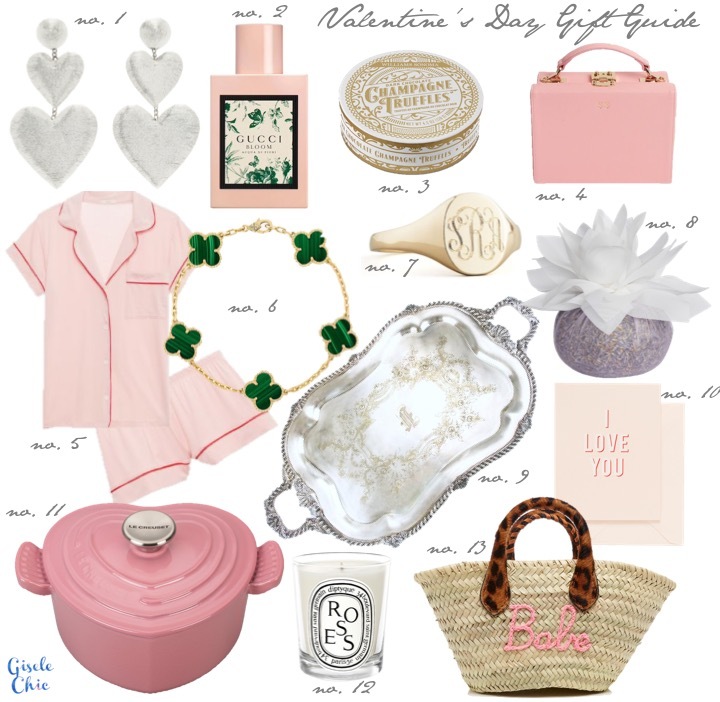 But since I happen to love Valentine's Day, and Galentine's Day perhaps even more, it's my favorite theme to make gift guides for and create parties around. I know everyone likes to throw away this holiday as something silly made up by card companies, but I prefer to just take what I like and make it all about that. So for me an expensive pre-fixe menu at a restaurant, a half the effort cheesy card or ridiculously overpriced gift is not what I am looking for. Instead, I just want to spend quality time with the people I love, decorate in one of my favorite colors and send my annual valentines to all the people I don't usually see on a day to day basis, as a small reminder of my love. 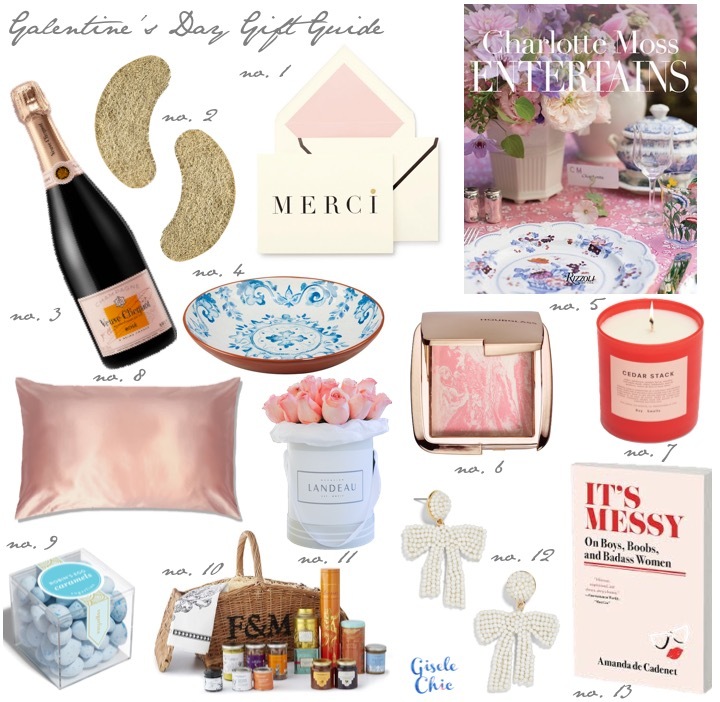 I make gift guides based on things I would actually want- Arthur take note- and you know how I love to create something pretty for basically any occasion. Most years my significant other and I have not exchanged non-food related gifts but that's not to say I wouldn't want something special! Again, I think the key is to really sift out what we like about any tradition, holiday, "societal norm" and make it our own, for our own good reasons! So if you like getting chocolates and flowers, ASK FOR THEM. If you want a fancy gift or romantic dinner, DO IT. If you want just some quality time, MAKE IT HAPPEN. If you aren't dating anyone, go out with your friends! If you want to throw an "I Hate Valentine's Day Party", DO IT and while you're pouting, buy something pretty from my little guide, OR DON'T. Happy Valentine's Day everyone!